I seem to recall promising that I would write all about the awesome adventures we had on our recent family vacation and post it today. But, um, mistakes were made. As it turns out, much as with mice and other furry, cute-only-when-animated rodents, the best laid plans of Puddin are easily waylaid by a sudden urge to make oatmeal cookies. Yeah, so instead of writing that post I accidentally got a bunch of ingredients together and made cookies. Oops. And now I’m totally going to eat them. But totally by happenstance, I swear. You’re not buying it, are you? I guess I wouldn’t either. Especially since I don’t feel even a little bit bad about it. 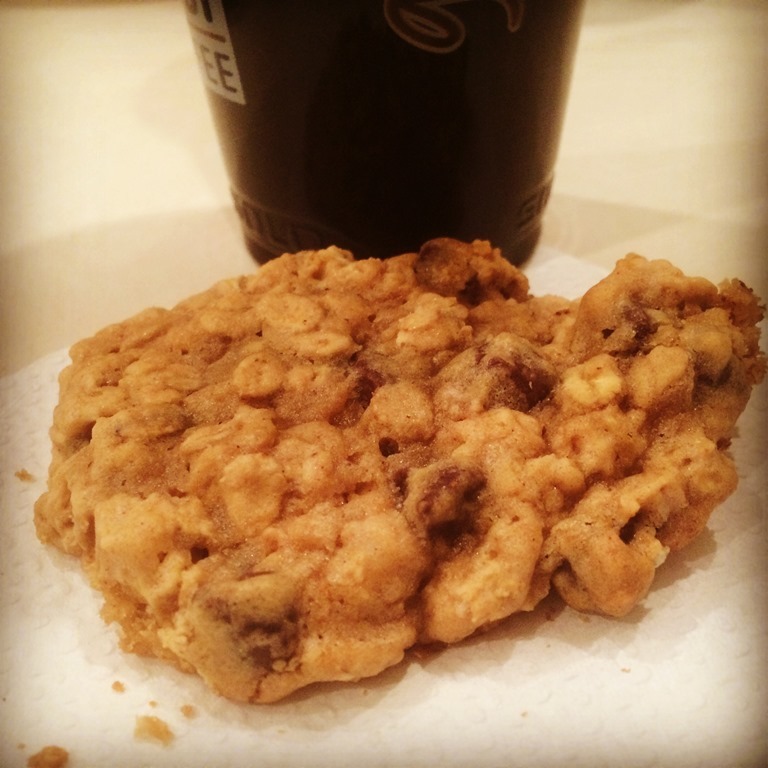 Okay, maybe a little bad, but it’s amazing how much guilt a warm, chewy oatmeal cookie can soothe. Next ›Well, Dammit. Rest In Peace, Mr. Williams. And Thank You.